Kentucky Family Law: How Can I Increase My Chances Of Getting A More Favorable Agreement In Kentucky? May 26, 2017 /in Kentucky Family Law /by Daryle C. Tibbs Esq. https://tibbslawoffice.com/wp-content/uploads/2011/07/Family-Law-Keyboard-110717-sm.jpg 267 400 Daryle C. Tibbs Esq. https://tibbslawoffice.com/wp-content/uploads/2016/02/logo-300x74.png Daryle C. Tibbs Esq.2017-05-26 20:11:252018-01-22 19:20:11Kentucky Family Law: How Can I Increase My Chances Of Getting A More Favorable Agreement In Kentucky? 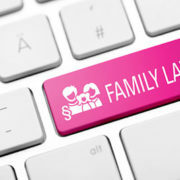 Kentucky Family Law: What Are Temporary Orders? May 19, 2017 /in Kentucky Family Law /by Daryle C. Tibbs Esq. https://tibbslawoffice.com/wp-content/uploads/2011/07/Family-Law-Keyboard-110717-sm.jpg 267 400 Daryle C. Tibbs Esq. https://tibbslawoffice.com/wp-content/uploads/2016/02/logo-300x74.png Daryle C. Tibbs Esq.2017-05-19 21:07:062018-01-22 19:22:10Kentucky Family Law: What Are Temporary Orders? Kentucky Family Law: What Is A Parenting Plan? May 15, 2017 /in Kentucky Family Law /by Daryle C. Tibbs Esq. https://tibbslawoffice.com/wp-content/uploads/2011/07/Family-Law-Keyboard-110717-sm.jpg 267 400 Daryle C. Tibbs Esq. https://tibbslawoffice.com/wp-content/uploads/2016/02/logo-300x74.png Daryle C. Tibbs Esq.2017-05-15 16:37:352018-01-22 19:25:02Kentucky Family Law: What Is A Parenting Plan? Kentucky Family Law: Do Grandparents Have Custody And Visitation Rights In Kentucky? May 6, 2017 /in Kentucky Family Law /by Daryle C. Tibbs Esq. https://tibbslawoffice.com/wp-content/uploads/2011/07/Family-Law-Keyboard-110717-sm.jpg 267 400 Daryle C. Tibbs Esq. https://tibbslawoffice.com/wp-content/uploads/2016/02/logo-300x74.png Daryle C. Tibbs Esq.2017-05-06 10:18:342018-01-22 19:34:41Kentucky Family Law: Do Grandparents Have Custody And Visitation Rights In Kentucky?